We recommend you to register an account (if you are new user) or login before purchase. Step 1 Insert the Quantity of the product and click “Add to cart” button. Step 2 You can continue shopping to add more products into your shopping cart (or) proceed to checkout. 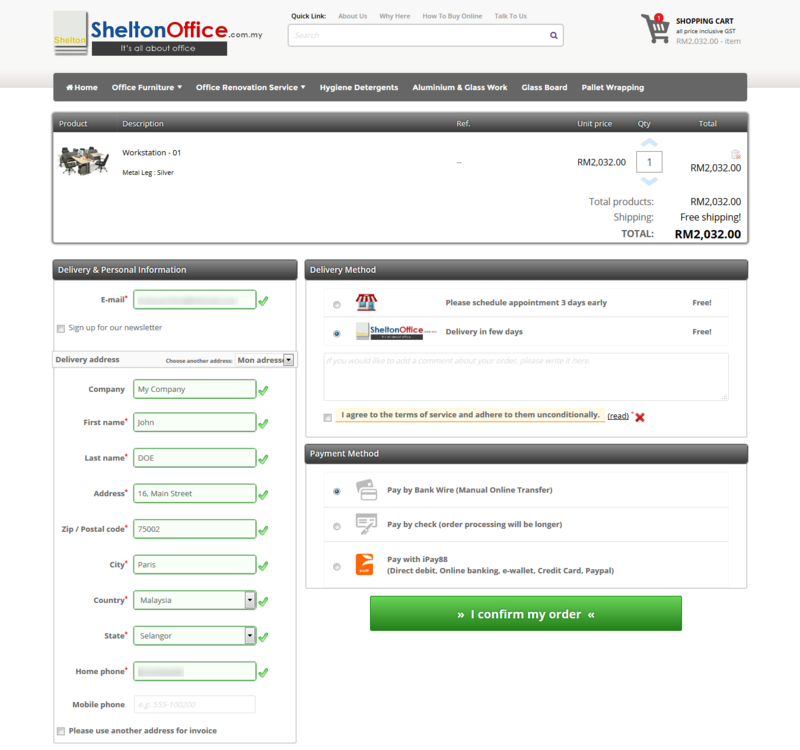 Step 3 At the checkout page, please verify all products & quantity are correctly shown in your shopping cart. Column 1) Sign in to checkout (or) update your "Delivery & Personal information"
Column 2) Select your "Delivery method"
You will receive an email from us about our company bank account number, please proceed the payment asap and send us the bank in slip to our support number. You have select to pay by Credit Card / Online Banking Malaysia. You will receive a confirmation email from us once the payment order is complete, we will keep you update about the delivery schedule & parcel tracking number. If you did not receive any email from us (sheltonpuchong@hotmail.com) after checkout, please check your SPAM Mailbox also.